Longtime readers of my columns know that I am not a fan of government regulation. Nevertheless, there are times it is needed to protect consumers. This column is about new regulations that have the potential to save investors billions of dollars in costs. Some months ago, I wrote a column about the hidden fees in mutual funds. Many investors don’t know that the same mutual fund may have different classes, with some classes having much higher costs than others. Most investors don’t know that a significant portion of such added costs are rebated back to the adviser’s company in the form of 12-b-1 fees (technically, a “marketing payment”). Just as Disneyland is the “happiest place on earth,” Wall Street is the “greediest place on earth.” We have seen with our own eyes, in previous employment, advisers high-fiving when they have extracted excessive fees from an unbeknownst client. And many portfolios we see in our business coming from other advisers are rife with such fees. 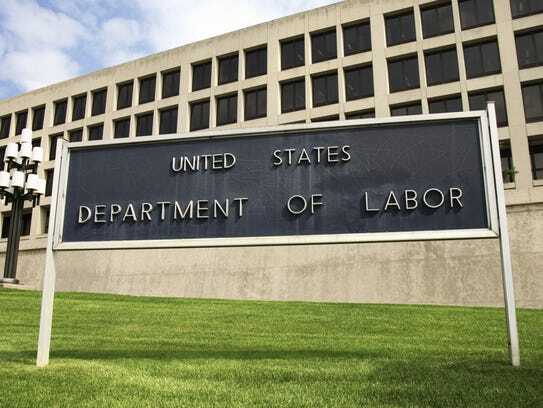 On Wednesday, April 7, the Department of Labor came out with new disclosure requirements on the pricing or cost of retirement accounts, including individual retirement accounts. These rules were originally proposed in 2010, but the securities industry fought hard to prevent them or significantly water them down. The delaying action bought them seven years, as the new rules don’t begin to take effect until April 2017, and are phased in. For purposes here, it will be January 2018 before they have any real impact. One of the arguments used by the securities industry was that the new rules would be so burdensome and expensive that clients with small account balances would have to be dropped. This is a specious argument. There are ways to take small accounts and put them into low-cost programs that are likely to produce market type returns for the risk level the client chooses. “Many investment professionals, consultants, brokers, insurance agents and other advisers operate within compensation structures that are misaligned with their customers’ interests and often create strong incentives to steer customers into particular investment products. These conflicts of interest do not always have to be disclosed and advisers have limited liability under federal pension law for any harms resulting from the advice they provide to plan sponsors and retirement investors. For many years, those working in the investment industry have been under the “suitability” standard, which means that the recommended investments must be suitable for a client’s situation. For example, it isn’t suitable to purchase illiquid assets for a client that needs his/her funds within a short period of time. But that doesn’t preclude the adviser from choosing investments that pay himself or herself the hidden fees (12-b-1), even if there is a class of the same investment that doesn’t have such a charge and is lower in cost to the investor. Under the “fiduciary” standard, the adviser must put the client’s interest before their own, so it would be a violation of the standard for the adviser to put the client into the higher cost investment if there is a similar, lower-cost one, or the same fund has a lower-cost class. The information contained in this web site should not be construed as investment advice, recommendation or solicitation to buy or sell particular securities and is only intended for clients and interested investors residing in states in which the Advisor is filed or where an exemption or exclusion from such filing exists. Advisory services are offered through Fieldstone Financial Management Group, LLC, a Registered Investment Advisor. Registration with the SEC does not imply a certain level of skill or training. Past results are no guarantee of future performance. Investments inherently carry risks including the loss of principle which the client should be prepared to bear. Persons considering an investment should seek independent advice on the suitability or otherwise of the particular investment. Copyright 2010.